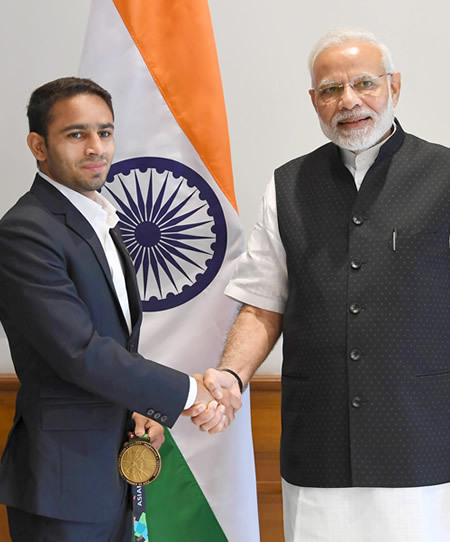 Photo: The Prime Minister of India, Narendra Modi, with the Boxing Gold Medal Winner of the Asian Games 2018 in New Delhi on September 05, 2018. 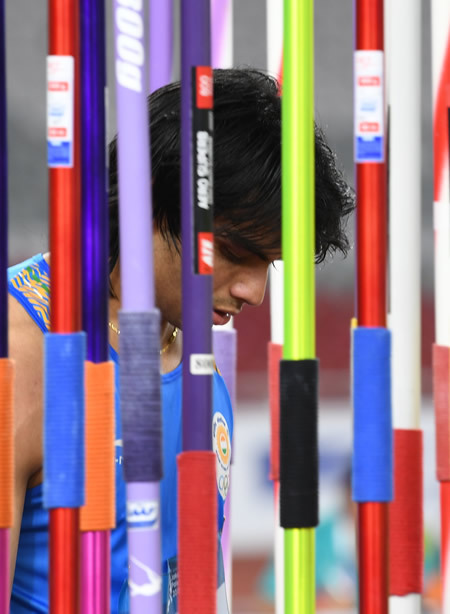 Photo: Indian athlete Neeraj Chopra selects the javelin for the final of the 18th Asian Games Men’s Javelin Throw at the Bung Karno Main Stadium Senayan, Jakarta, Indonesia, Monday, August 27, 2018. Neeraj Chopra won the Gold Medal. ANTARA FOTO/INASGOC/Andika Wahyu/mes/18. 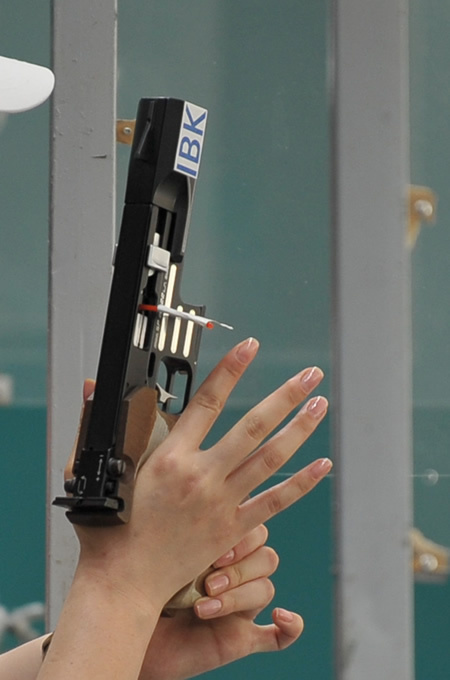 Photos: Indian shooter, Rahi Sarnobat, prepares to shoot the target in the final of the women’s 25-meter Pistol at the 2018 Asian Games shooting arena in Jakabaring Sports City, Palembang, South Sumatra, Indonesia, Wednesday, August 22, 2018. Rahi Sarnobat won the Gold Medal. ANTARA FOTO/ INASGOC/Iggoy el Fitra/thv/18. 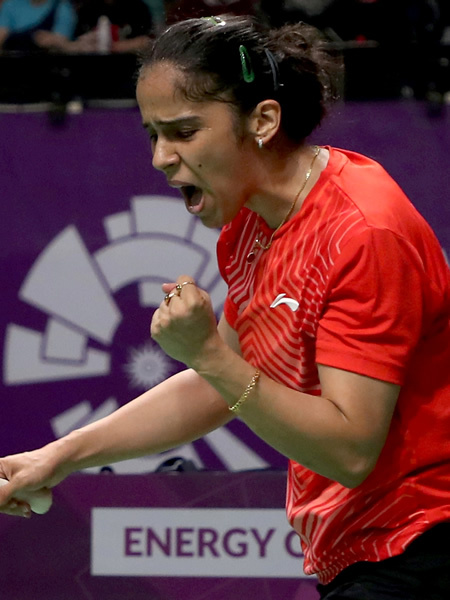 Photo: Indian Badminton Women’s Singles Player, Saina Nehwal, clenches her fist after gaining extra points in the semi-finals of the 2018 Asian Games individual event at Istora Senayan, Jakarta, Indonesia, Monday, August 27, 2018. ANTARA FOTO/INASGOC//Hadi Abdullah/tom/18. Photo: India Squash Player, Sunayna Sara Kuruvilla hits the ball while competing against Thai squash player in the 2018 Asian Games Women’s Team Squash preliminary round at the Gelora Bung Karno Squash Stadium, Jakarta, Indonesia, Tuesday, August 28, 2018. ANTARA FOTO/INASGOC/Ikhwan Yanuar/inp/18. 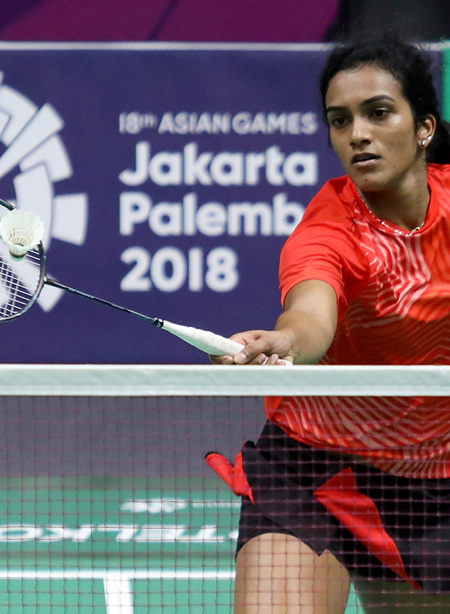 Photo: India’s Badminton Singles Player, Pusarla V Sindhu, in action in the women’s first round of the 2018 Asian Games at the Istora Senayan, Jakarta, Indonesia, Thursday, August 23, 2018. ANTARA FOTO/INASGOC/Nafielah Mahmudah/tom/18. 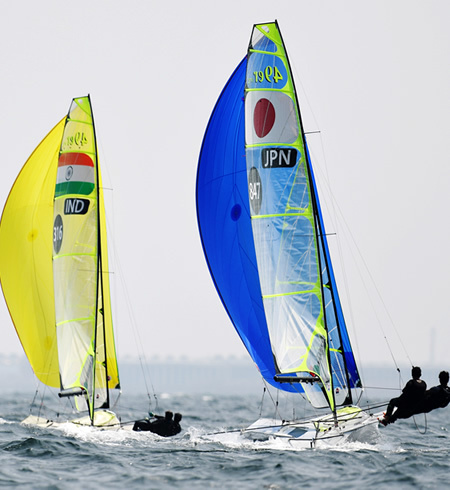 Photo: Japanese Sailing Pair, Furuya Shingen and Hachiyama Shinji (right), with Indian Sailing Pair, Varun Ashok Thakkar, and Ganapathy Kelapanda Chengappa (left), spur their sailboats while competing in the Asian Games 2018 Sailing Competition in Jakarta, Indonesia, on Saturday, August 25, 2018. ANTARA FOTO/Akbar Nugroho Gumay/YU/18. 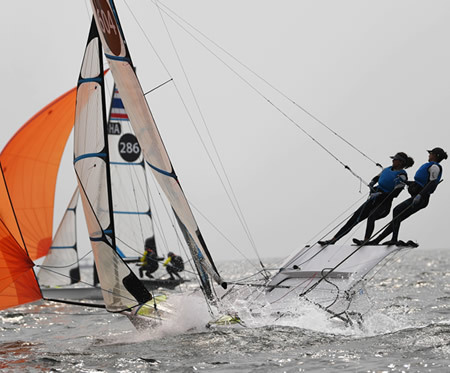 Photo: Indian Women Sailing Pair, Varsha Gautam and Sweta Shevegar, spur their sailboat while competing in the Asian Games 2018 Women’s Sailing Competition in Jakarta, Indonesia, on Wednesday, August 29, 2018. 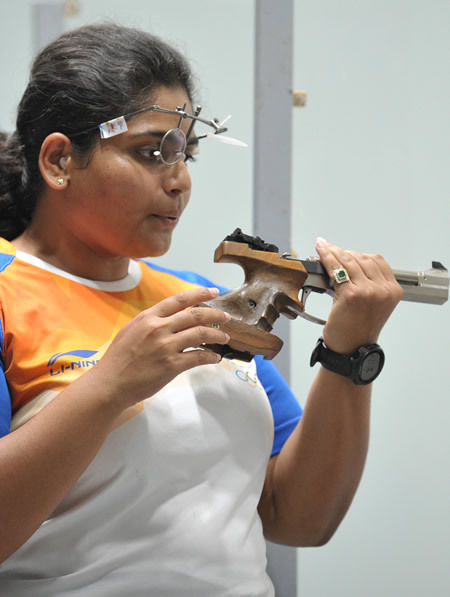 Varsha Gautam and Sweta Shevegar won the Silver Medal. ANTARA FOTO/Akbar Nugroho Gumay/YU/18. Photo: Indian Squash Player Joshana Chinappa participates in the Squash Women’s Team Semifinal at the 2018 Asian Games at GBK Squash Stadium, Jakarta, Indonesia, Friday, August 31, 2018. ANTARA FOTO/INASGOC/Sakti Karuru/inp/18. 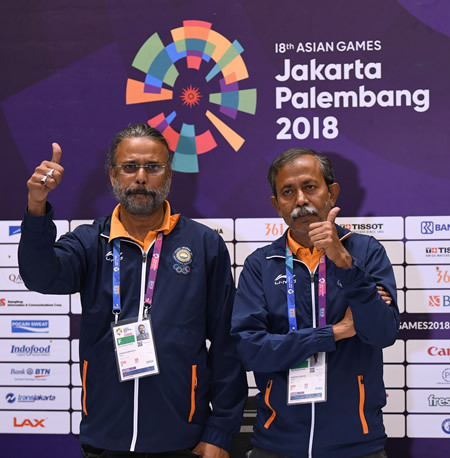 Photo: Indian Bridge Payers, Shibhnath Sarkar and Pranab Bardhan, won the Gold Medal in the Men’s Pair category in the 18th Asian Games 2018 at the Jakarta International Expo, Kemayoran, Jakarta, Indonesia, Saturday, September 1, 2018. ANTARA FOTO/INASGOC/Setiyo Sc/Ttn/18. 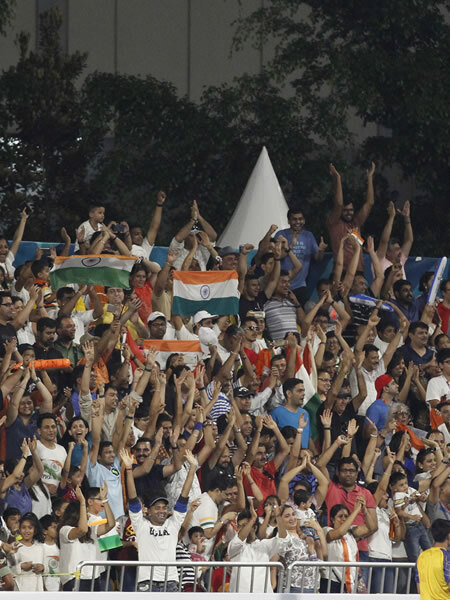 Photo: Indian Hockey supporters wave their hands and shout during the 3rd place competition in the men’s hockey in 2018 Asian Games at Hoki Square, Bung Karno Stadium, Jakarta, Indonesia, Saturday, September 1, 2018. ANTARA FOTO/ INASGOC/Dadang Tri/pras/18.